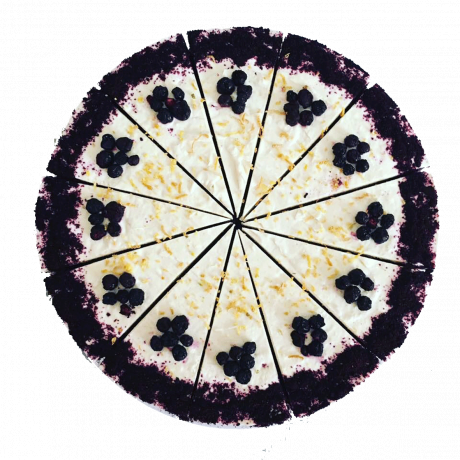 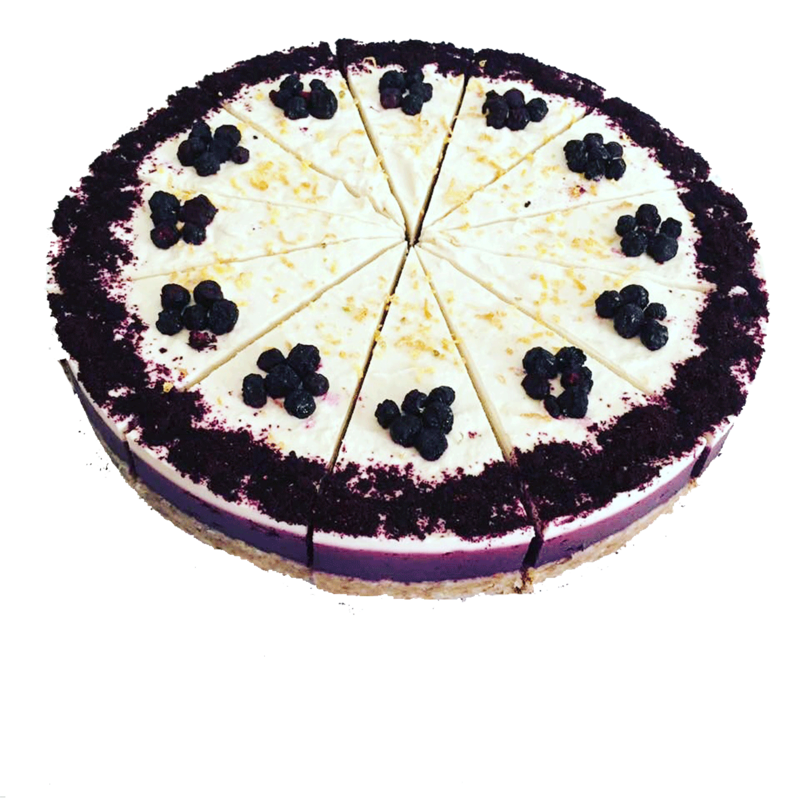 8-inch artisan Lemon Blueberry Raw Cake. 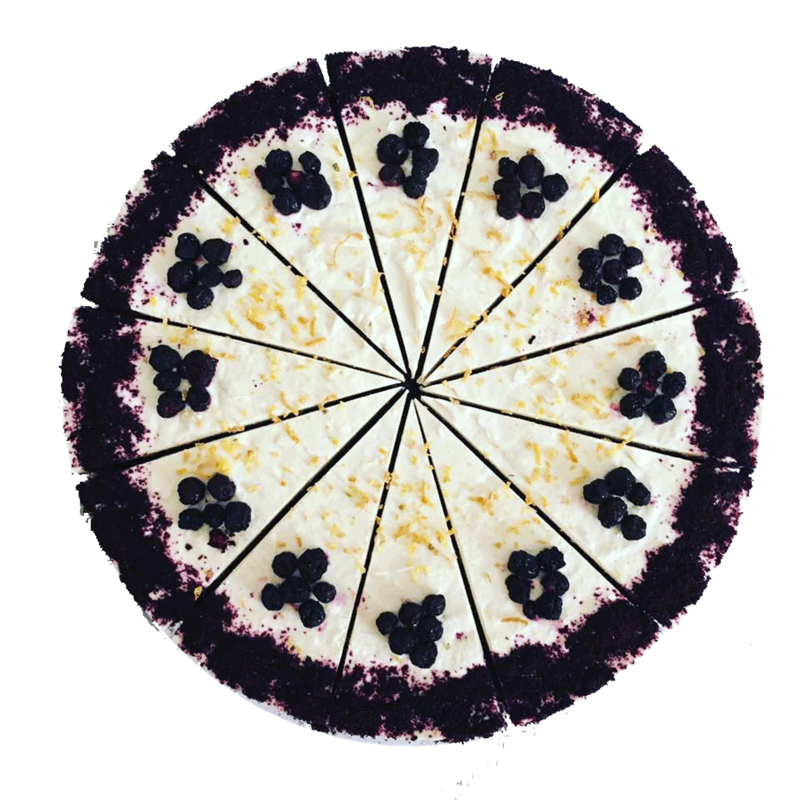 Sweet blueberry with sharp lemon is a marriage made in heaven - and complementing them with a crunchy almond base adds that special 'happily ever after'! 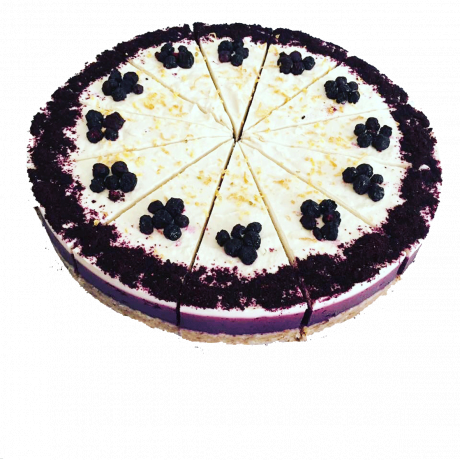 Cashew Nuts, Almonds, Water, Coconut Oil, Blueberries, Dates, Coconut, Lemon Juice, Maple Syrup, Lemon Peel, Freeze-dried Blueberries, Cocoa Butter.